Look at the title again. It says “The POWER of using a free website template”. That word is there for a reason. Actually, for various reasons. And by the end of this article you will have gained the knowledge of these reasons and a highly actionable set of tips that will make you build a great website. When you have the chance to build a website in a matter of minutes, without getting lost with features, you start to feel the power. And it may seem that it is coming from SITE123 but all it does is just give YOU the power to build a good looking website using a few easy tools. It may be sounding kind of Star-Warrish this talk of power, or may I say force? So may the force be with you while you read this article and build an awesome website on SITE123! Often times, experienced designers and developers like to build a website all from scratch because they think website builders scramble the code when you move stuff around. In fact, most website builders really end up doing that most of the times. This mixing and scrambling of your website code is not good at all. When you use drag and drop builders, sometimes parts of the code can get mixed up and that can increase the loading time of your website, for example. That is not the case with SITE123. The free website templates there are built in a way that you do not have to drag and drop stuff around. You can just add and remove modules while editing them separately. So in the opposite side of the website builders that mess up your code, on SITE123 your code turns out easily readable by all web browsers. And that means that your website will not only look good but will also load faster when users browse it. “According to surveys done by Akamai and Gomez.com, nearly half of web users expect a site to load in 2 seconds or less, and they tend to abandon a site that isn’t loaded within 3 seconds. 79% of web shoppers who have trouble with web site performance say they won’t return to the site to buy again and around 44% of them would tell a friend if they had a poor experience shopping online. See how many visitors and page views you may be losing just because of loading time? We have not even talked about product, branding or anything else. Just loading time! If about half internet users expect a website to load within 2 seconds or less, you better have a website that does that or else, you will be losing half of the internet audience just from the beginning. We are in the era of DO IT YOURSELF, aren’t we? But you have to do the SMART things yourself and leave the rest for experts to do. This way you will not have too much work and will end up with the same great results that you are looking for. Take care only of what matters from your side: the brand, product, presentation, etc. That’s already enough to think about and work on. Leave the coding part for behind now that you have a website builder to trust: SITE123. 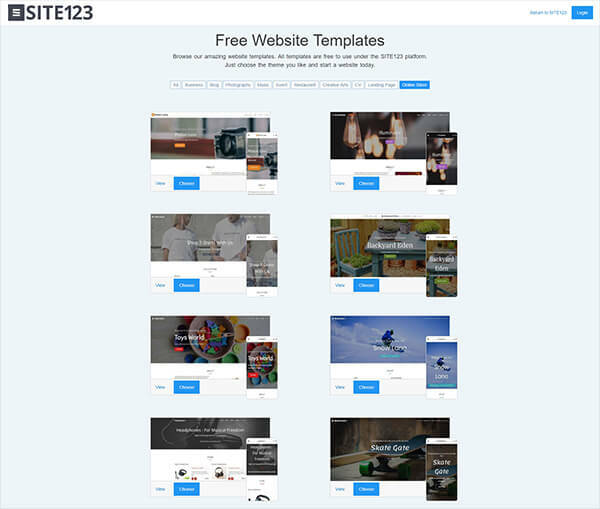 In fact, we recommend you start using one of SITE123’s free website templates today. Think of how much time it can save you. And how many things you can do with this extra time: work on your marketing, branding and other processes as well as just spend some spare time on the beach or anywhere else. 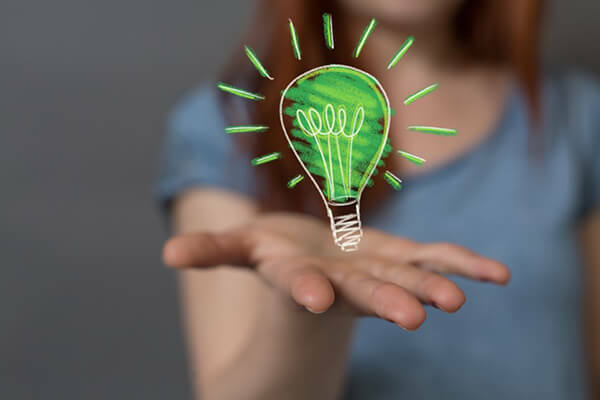 Now also think on the customer side: with a site built on SITE123, they will click on your link on type in your address and in the blink of an eye, your website will be open for them to browse, no matter how slow their internet connection is. If the website is concise all well edited, it will open as fast as speed light. Do this for the sake of your visitors and you will have them stick to your brand or website for quite a while. In terms of website structure, the templates on SITE123 are ready-made. This means that they have mapped out what a modern website needs to look like and what kinds of features it needs to have. Even if you have very bad taste for design and difficulty with features, your website will turn out great because everything is diagramed to look good and work properly without bugs. Is this too much to ask from a free website builder in 2018? I don’t think so. And neither does SITE123 and that is why they accomplish all this, delivering a platform of great reliability. So all you have to do to have access to their free website builder is go to SITE123, sign up, choose one of the website templates and start editing it. Everything in a press of a button. If at some point you get dissatisfied with the work that you are doing or if you think you need a different template, you can start from scratch with another layout. In addition, that can be done with a press of a button as well. Just go back to your admin panel and click on “New website”. By doing this, you can choose another template, work on it and then decide which version of your website is coming out better. Then you just focus on the best one and finish it. See: building a website on SITE123 is so fast and saves you so much time that now you can even find yourself choosing between website drafts. SITE123 provides hundreds of free website templates so it should be very easy to choose one, edit a few things, then choose another one, make a few adjustments and then voilà… you have two website drafts to choose from. You can even make a third one to choose. It is all up to you and how much time you have and how much time you want to save. The point is that even if you put together 3 concepts and take your time to choose one of them, you are still going to build your website faster than if you were using any other website builder or programming framework. The smart thing to do in the DIY era is doing the things the smart way. And you can count on SITE123 for that. Look no further and waste no more time. Just pick up one of their amazing free website templates and start building your website today!